From my years worked at ABSA as a Safety Codes Officer, together with my engineering experience in industry and now at Cammar Corporation, I have a very good idea about what the CRN number registration process problems are, including its pitfalls. I’ve evaluated and pointed out in detail the deficiencies for thousands of designs needing CRN number registrations. Some designs were good, and some were – well, let’s just say that they needed improvements and more revisions than others. The generalized CRN number registration process is sketched below for reference. Note the loop of despair. During a review, the regulator decides whether to accept and register a design in accordance with provincial legislation, with a focus on safety and technical aspects. They should be satisfied that the design meets the requirements of the legislation and is designed in a manner that protects the public, before it is registered. The regulator can consider whatever design information it wants to for it to reasonably decide that a design is safe, but what it considers (or doesn’t consider) is up to them. They do not approve any designs, and instead accept or reject them. They are not the owners of designs and are not responsible for them. 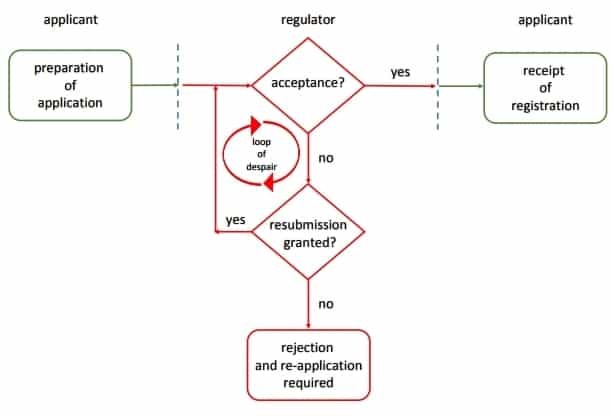 If a regulator determines that a design application is deficient in some way, is not safe or does not meet the adopted codes etc, the design application can be put on hold awaiting a revision or can be rejected, at the regulator’s discretion. If put on hold, then it enters what we call the dreaded loop of despair and, unless the required revision is provided, the application will remain there until rejected or withdrawn. Hopefully regulators will continue to proactively review applications as thoroughly as possible and continue with detailed design evaluations. But given the somewhat recently published statistics (see below), the temptation and pressure to fast track the process by eliminating proactive independent third party reviews must be high. Succumbing to that pressure and temptation would be, in Cammar’s opinion, a mistake and a race downhill that nobody, including the public, would win. 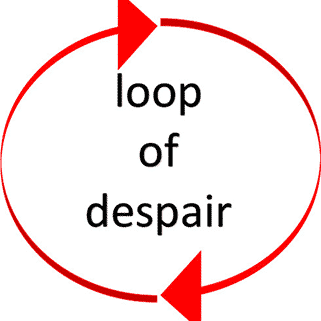 How many applications enter the dreaded loop of despair? Well, published numbers are scant but ABSA alone reported that in 2014, of the more than the 10000 applications it received that year, more than 50% were deficient (see page 2: ABSA article) and could not be accepted without a resubmission. This is quite shocking and means that during that year more than 5000 applications either went into the loop of despair and required a revision of some kind, or were rejected or withdrawn. If a purchase order is cancelled or if production is delayed due to the loop of despair, then associated costs to industry can obviously be large. But they would potentially be even larger with the use of unsafe or illegal equipment, so it’s good that the bad applications were caught. Registering applications without detailed third party evaluation and instead conducting audits after registration and sale or installation etc would be, in our opinion, fraught with risks for manufacturers, end users, and the public. If a deficient product is mistakenly registered and installed, what then? Recalling a product after installation would certainly cost far more than fixing it on the shop floor before any sale. And how much reactive auditing after registration would ensure the same level of safety as proactive reviews? Avoiding the loop of despair while maintaining a high level of quality is, in Cammar’s opinion, key to public safety. Strategies for this will be discussed in the next blog article. Stay tuned. Well, hopefully this won’t sound repetitive, but CRN registration is required unless an exemption or Variance applies! Requirements vary by province/territory – some regions have specific exemptions and others have more general ones. Alberta has an entire regulation devoted to some exemptions. See this article for more . And, of course, CRN registration is required before the pressure equipment is operated in Canada. To follow the legislation and CSA B51 even more carefully, CRN registration is required before the pressure equipment is even built, while still at the finalized design stage. So as to avoid a whole host of complications, a good rule of thumb to follow is that CRN registration is required before the assembled equipment leaves the manufacturer. But sometimes, this is not possible. For example, boilers assembled in the field obviously need to be put together after leaving the manufacturer but nevertheless, the design should have a CRN well before assembly. As another example, unregistered code stamped vessels can potentially be registered after they leave the manufacturer, but the rule of thumb stated above is the best way to avoid issues. For those unfamiliar with CRN requirements, the obvious question is why are CRN numbers required? No other nation beside Canada has them. One reader recently wrote to ask these questions: Do CRN numbers improve safety, or help Canada to be competitive? Our answer was that given their indirect reference in public safety legislation, governments in Canada recognize the importance of CRN numbers. They help to ensure that pressure equipment is designed, built and tested to codes and standards that have, through careful collective deliberation, been written to help ensure public safety by using adequate safety margins and other considerations. In Canada, designs that meet code and legislated requirements are competitive. Canadian Registration Numbers (CRN numbers) are used by provincial governments to record, document, and ascribe responsibility for pressure equipment designs in Canada that are non-exempt from registration. The exemptions associated with each province should be considered carefully for each type of design to ascertain the differences between each jurisdiction. If a Canada wide CRN number is required then the jurisdiction that has, on balance, the most stringent requirements with the fewest exemptions should be identified and applied to first – pursuant to harmonization and efficiency. Similarly, revisions or additions to a CRN number must be registered in related regions following a particular sequence to avoid issues. Permission from the province that first issued the CRN is needed before the revisions in another region can be registered. And this can cause problems and delays if this requirement is not known. For example, suppose a category H fitting or a vessel design was registered in Ontario first and then registration was subsequently sought in Alberta. Further suppose that Alberta (ABSA) requirements exceed those in Ontario for the design in question. In that case Ontario will need to consider the revised design before ABSA will consider registering it with the same CRN number. CRNs follow a format as specified in CSA B51 and are first issued by the region identified by the digit following the decimal point. Other registration numbers for alternative or special designs are issued numbers with a different format, but they are relatively rare. CRN numbers are unique for each design. Referencing specific CRN numbers cannot be done without linking the design owner. Without owners’ written permission, publication of CRN numbers could cause confidentiality issues. https://cammarcorporation.com/wp-content/uploads/2017/07/MAP_CANDA.jpg 387 800 Cameron A. Sterling https://cammarcorporation.com/wp-content/uploads/2016/08/logo.jpg Cameron A. Sterling2017-07-21 15:49:252018-10-24 16:00:04Is a CRN Number Required? When and Why. When Should I Apply For a CRN? And Why. When should a CRN application be made? This is a common question. After all, knowing when you should apply for a CRN number is important. Some people only want to know what they ‘must’ do, and they want to know the difference between requirements and suggestions. And though ‘should’ apply for a CRN really means ‘must’ apply for a CRN in normal circumstances, the same people might instead consider ‘should’ to somehow mean a suggestion and will go on endlessly as if there is somehow a misunderstanding as to what is required. And they also want their ‘musts’ listed in bullet form. Thankfully, there aren’t many of those people around. And it gets more complicated. Believe it or not, legislation and CSA B51 state that CRN registration is required before construction. So this means that an application should (must) also be made and CRN registration should (must) be obtained before the equipment leaves the shop, is shipped, is purchased, or is installed. Alterations to existing pressure equipment commences. Practically speaking, operation under pressure delineates a line between what modern art and pressure equipment is. Nevertheless, the law refers to CRN registration of designs when the equipment has not even been built yet, and designs are at the finalized stage. So, why should (must) CRN registration of designs be acquired at such an early stage? Nobody wants to necessarily fix equipment to meet the requirements of a CRN number issued after construction. For example, there is no greater pain than for someone to realize that installed equipment is unregistered and a startup needs to be delayed to fix it. Hence before pressure equipment is even constructed, it should (must) be registered to avoid potentially huge headaches and costs. Canada does not need or want unregistered and illegal pressure equipment made, shipped, sold, purchased, installed, or operated. It is not worth it. Obviously not all pressure equipment in the world already has a CRN yet – but we’re working on it! All this leads to another question, is all unregistered pressure equipment that is already built necessarily unable to be assigned a CRN number? Hmm…, of course not, though some situations are certainly more challenging than others. 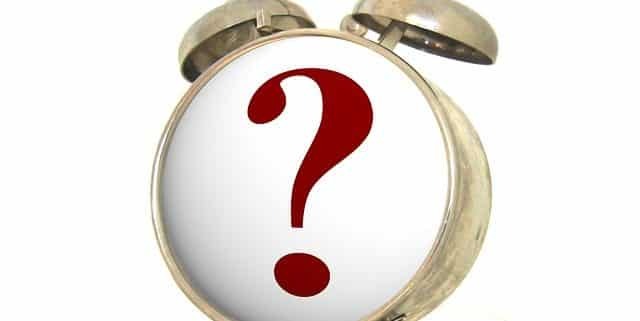 https://cammarcorporation.com/wp-content/uploads/2017/07/clock-alarm-clock-question-mark-question-time.jpg 480 640 Cameron A. Sterling https://cammarcorporation.com/wp-content/uploads/2016/08/logo.jpg Cameron A. Sterling2017-07-21 15:42:132018-05-14 23:57:48When Should I Apply For a CRN? And Why. In this space, some questions posed by customers and industry are published in case others have similar questions. Anonymity is preserved. Check back for updates and new correspondence. If a vessel, fitting, boiler design, or some pressure piping not meeting the legislation requirements and/or that is simply not registered with a CRN number is operated, then so what? Safety is a big deal to the public, the engineering profession, and the regulator. Breaking the law is not a good idea. Unless exemptions apply, operation of pressure equipment (vessels, fittings, boilers, pressure piping systems, etc) that does not meet the legislation, or that is without CRN registration, would be against the law. Though non-exempt pressure equipment certainly needs to be registered before operation, the equipment also needs to meet the minimum requirements of the adopted codes and standards. In all cases, it needs to be safe. Committing an offense has potential consequences. For example, in Alberta per Section 68 of the Safety Codes Act, those found guilty are subject to a potential fine of $100000 and imprisonment of 6 months for a first offence, and a fine of $500000 and imprisonment of 12 months for a second or subsequent offence. So… safety, and responsibility for it, is important.